Our friends at Bivalve Dairy provide quality, organic milk to well-known dairy brands (Clover, Cowgirl Creamery), and have future plans to produce their own line of organic dairy products. They approached designthis! with the challenge of creating a complete identity package and vision for their brand from scratch — a brand that communicates their quality and who they are. We knew Bivalve as a dairy company would require a multitude of collateral in different sizes and applications, especially in product packaging alone, so we created for them an ‘identity toolkit’ with various graphic elements and icons to use, to give their brand flexibility and consistency. 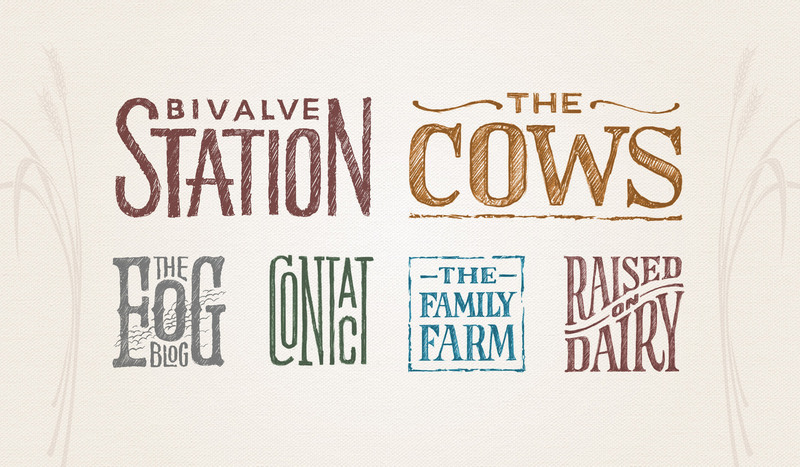 Bivalve takes great pride in their quality, and we understood the importance of communicating their farming family heritage in their logo. We wanted their down-to-earth personality with a sense of natural ingredients to come across through a style of hand-drawn typography, illustrations and natural colors. 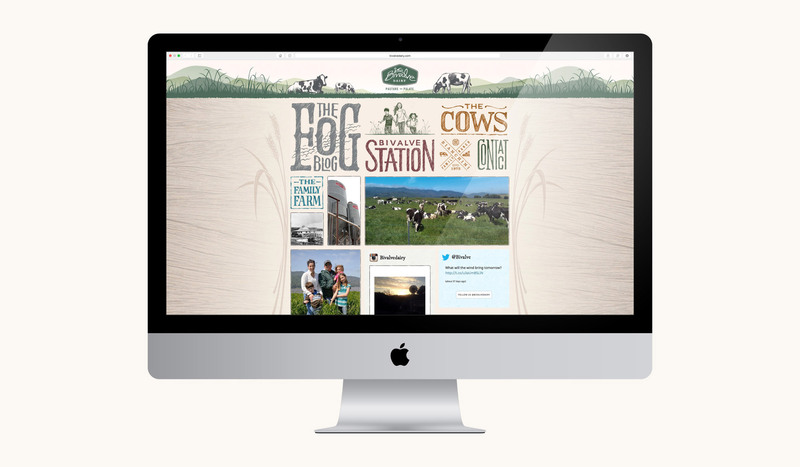 From the hand drawn elements to the natural colors and symbolic icons, the new identity and web presence we provided reflects their down-to-earth personality, their unique location and dedication to organic, sustainable farming. The brand also allows for room to grow when their own line of organic dairy products are produced. We can show you what we’ve done, but through our values we define how we do business. It’s important how we treat each other. Through integrity, kindness, respect and courage we stay authentic. Every day brings an opportunity to work together and show our collective creativity. We are dedicated to going the extra mile to see it through. We believe the little details are what make the big picture. Good enough is not our destiny. Be optimistic, embrace challenges and laugh more. The world of luxury is unique and we’ve been working with luxury brands since 1996. We’ve worked with small startups with 300 cases, to large wineries with 50k cases, managing all that is creative and branding. Responsive web design is a technique for building websites that work on mobile devices, tablets and desktop screens. The goal of responsive design is to provide an optimal viewing experience — easy reading and navigation with a minimum of resizing, panning and scrolling — across the wide range of devices that make up our current technological landscape. If your website is not currently responsive, or you are in need of a website experience, we look forward to hearing from you. © 2019 designthis! All rights reserved. Made with pride by yours truly, designthis!